The CD contains the sample contracts, forms, and financial worksheets from the book in Word and Excel so that the reader/user can reproduce and modify them for your personal circumstances. You don't have to recreate or re-type them. The Excel spreadsheets contain the arithmetic formulae built in where appropriate. 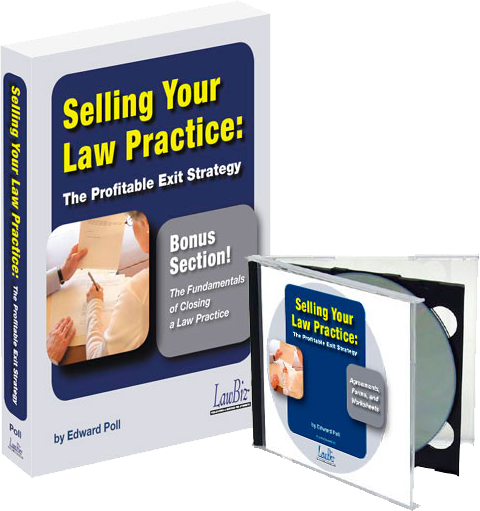 "Whatever the reason, this essential guide will guide you in every aspect of selling your practice for top dollar. Read more..."
1. 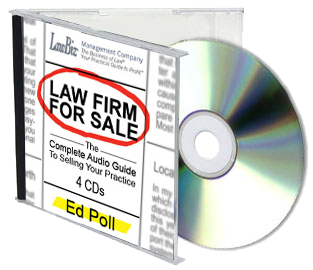 Introduction: Can You Sell Your Law Practice? 1.1. How's The Playing Field For Transferring Ownership? 3.1. What's in a Word? 4.2. What Data Will You Need to Provide? 7.1. Who Wants to Buy a Law Practice? 8.2. Who Should Do the Negotiating? 8.4. Should You Use a Covenant Not to Compete? 9.1. What Does the Sale Mean for Your Tax Obligations? An insider look with information that is sure to go a long way to help achieve optimal results while transitioning out of the practice of law. 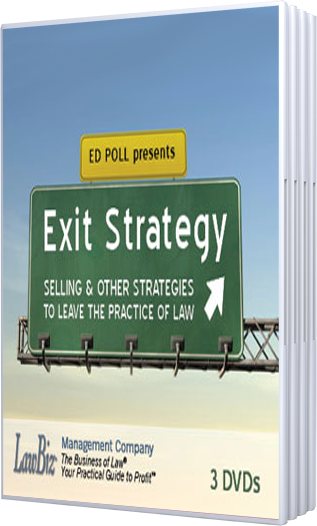 Throughout this 3-DVD set, presented by Ed Poll, JD, MBA, CMC, viewers will learn about valuing and pricing a firm, marketing its sale, and other post-sale considerations.